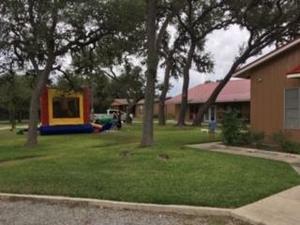 FUNDAY SUNDAY - a great blessing and a lot of fun at church for everyone. Sunday School/Bible Classes were held that morning for all ages. The Family Morning Worship Service included great music, a spiritually impacting Bible message, and a Children's Time with Pastor Rick and his friend. Many people attended. 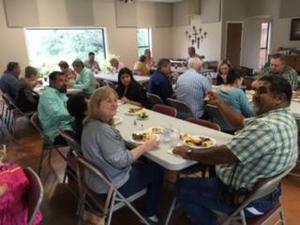 Following the Morning Worship Service, we had a wonderful family covered dish luncheon. 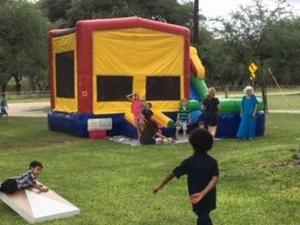 Recreation fun was enjoyed by children, teens, and adults on the fun Bounce House Slide. 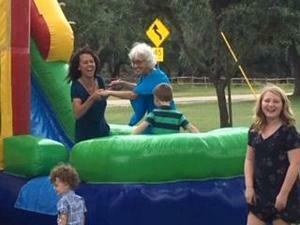 Indeed, it was a fun family ministry day.